Box is a little torn on top. 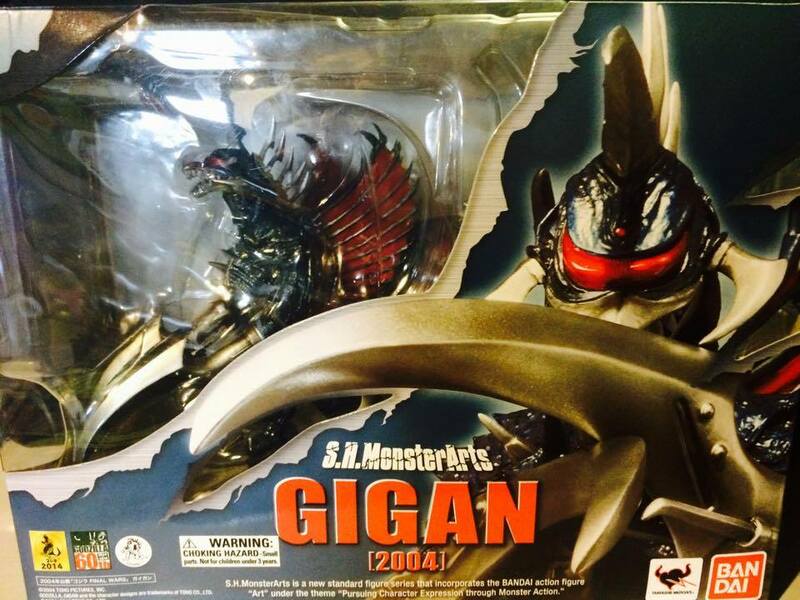 Figure has barely been removed and is in great shape. Cheapest on the internet. Don’t miss out. Box is a little warped. 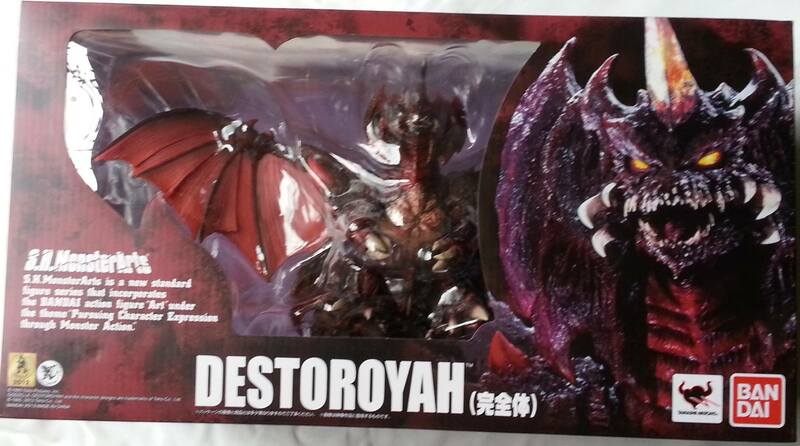 Figure is in great shape and has barely been out of the box. Adult owned. 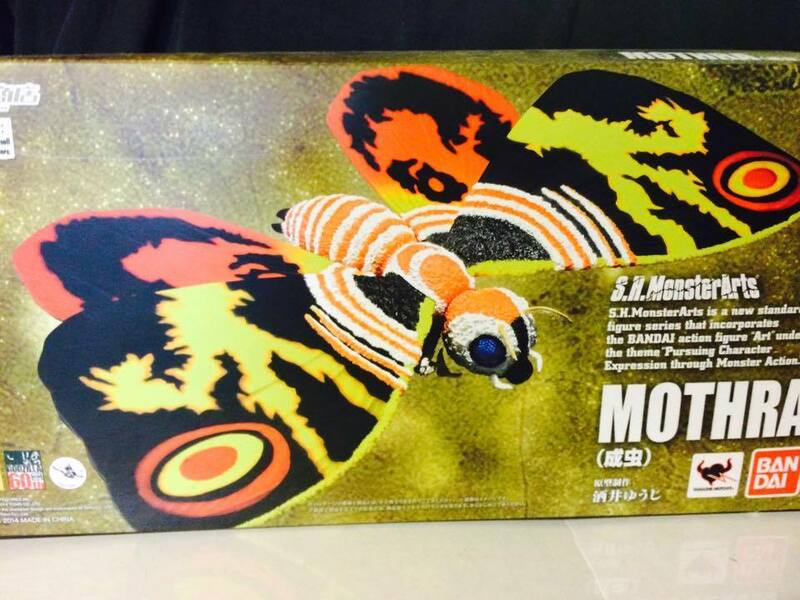 Only removed from box once. Cheapest on the internet. Don’t miss out! Adult owned. In great shape. Only removed from box a couple of times. Adult owned. One wing has some issues (doesn’t move well) but is fully intact. 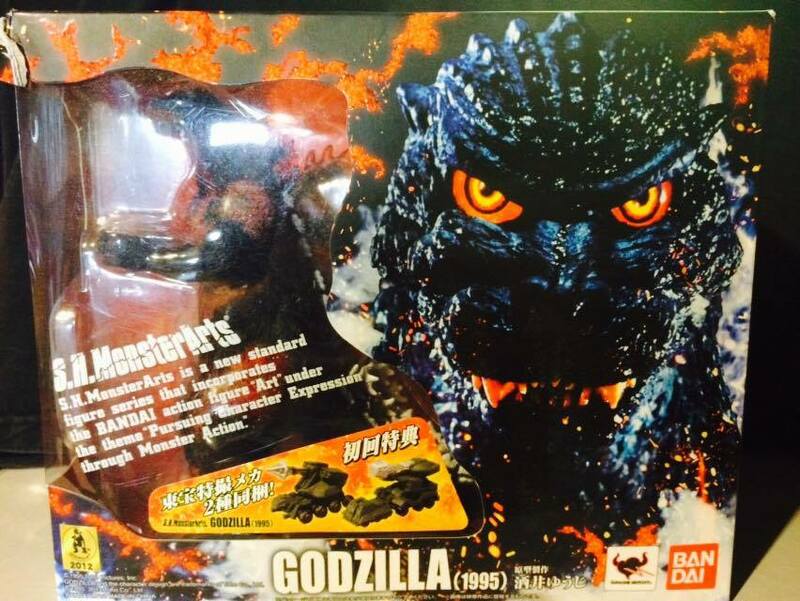 One of the tail pieces pops off frequently but just as easily goes back on (just one of those MonsterArts things). 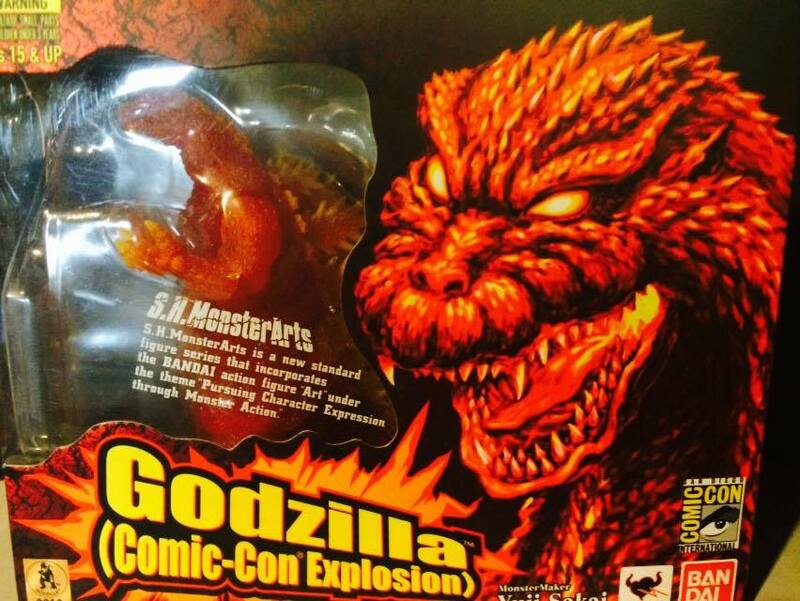 Adult owned, only removed from box a couple of times. Only opened once and never removed from box. This is the cheapest on the net and prices seem to be only climbing. Get it while you can! S.H. 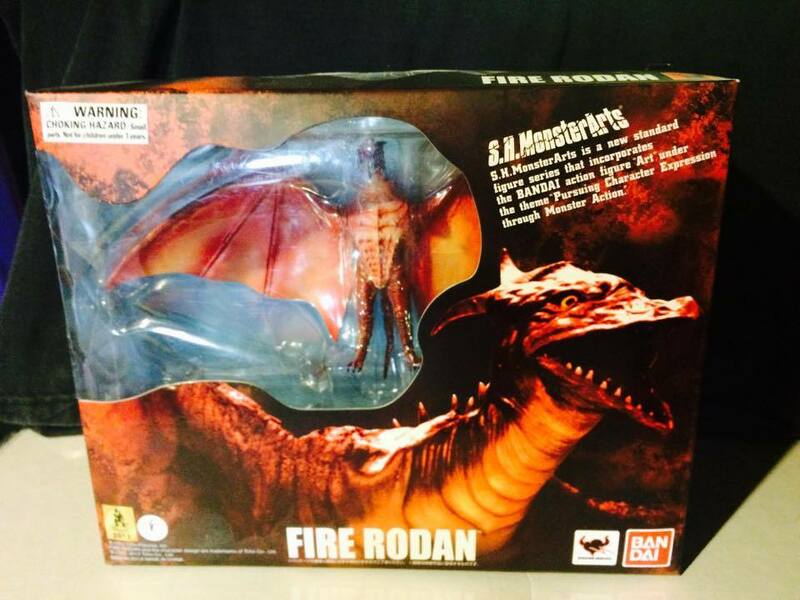 Monsterarts Fire Rodan and Little Godzilla – $110! 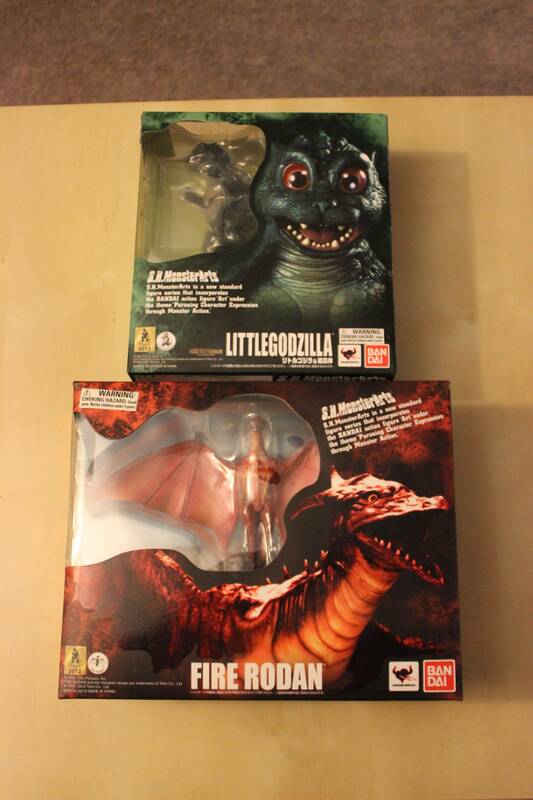 Figures have been opened and displayed but are in good condition and complete. Kept in a smoke-free home, out of reach of curious pets or friends. Would like to sell as a set. U.S. only. S.H. 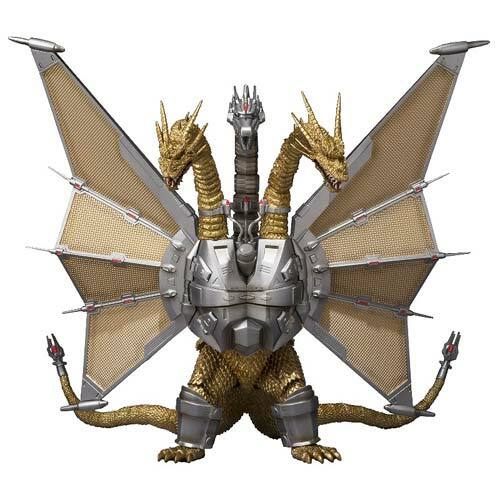 Monsterarts Mecha King Ghidorah – FREE SHIPPING! 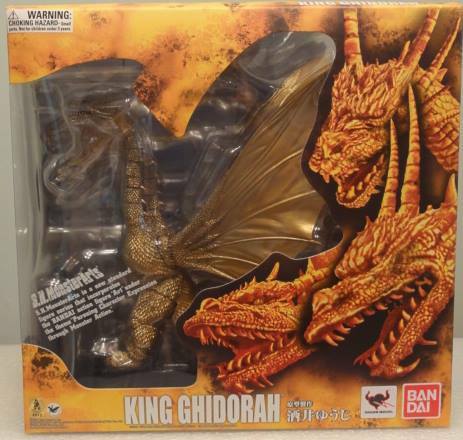 This bad boy is going to be impressive, and is reportedly coming with new and improved joints after the SHMA Ghidorah fiasco! PRE-ORDER for MAY via Entertainment Earth! Only $199.99 with FREE SHIPPING!